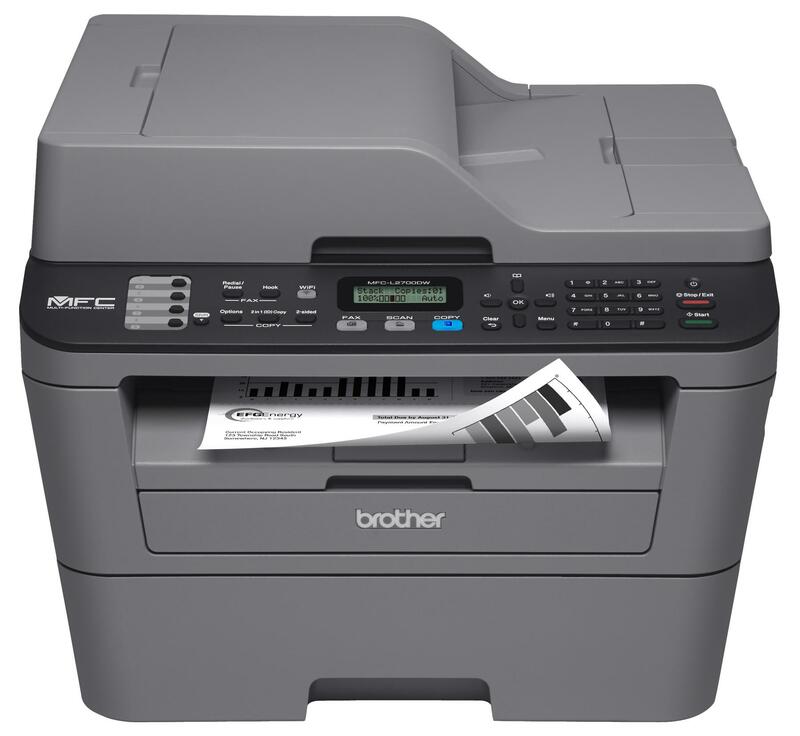 The Brother™ MFC-L2700DW is a reliable, affordable monochrome laser all-in-one with an up to 35-page automatic document feeder for home or small office use. This desk-friendly, compact all-in-one has an up to 250-sheet capacity tray, connects with ease via wireless networking or Ethernet, and prints and copies at up to 27ppm. Convenient mobile device printing & scanning. Print from your mobile device via‡:AirPrint™, Google Cloud Print™, Brother™ iPrint&Scan, Cortado Workplace and Wi-Fi Direct®. Plus, wirelessly scan to your mobile device with the Brother™ iPrint&Scan app. Flexible paper handling. Features an adjustable, 250-sheet capacity paper tray for letter or legal size paper. Plus, a single-sheet manual feed slot for envelopes, labels or thicker media. Customer support. The Brother™ MFC-L2700DW offers a 1 year limited warranty with free phone support for the life of your product. Versatile, high-quality color scanning. Offers an up to 19200 x 19200 dpi (interpolated) resolution and a variety of "scan to" functions including: E-mail, file, image, OCR and SharePoint (PC).